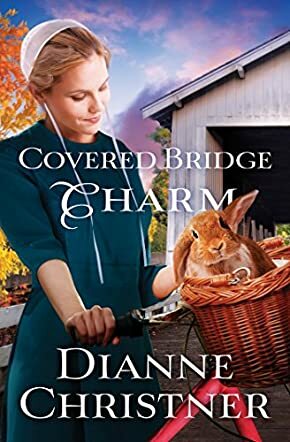 Carly is an interesting character in Covered Bridge Charm by Dianne Christner. She seems to have quite a talent for getting herself into trouble. For a Mennonite, she seems rather progressive and she gallivants all over the community on a bright pink bicycle. Unfortunately, the bike is frequently in for repairs as Carly, ever mindful of the ones she loves including the residents she cares for at a seniors' residence, finds her mind is frequently elsewhere and not as focused on the road ahead. When one of her special seniors, Martha, reveals a lost love from years ago, Carly enlists Adam's help in finding out if the lost love is still alive. First they have to find out the man's name and to do this they spend time at the quaint covered bridge that locals have used for years for fishing and for carving the initials of lovers. The plot thickens as Carly and Adam, in searching for lost lovers, find their friendship deepens into something more precious. Dianne Christner has created an interesting plot idea in Covered Bridge Charm. Her characters are endearing, especially Carly and her pet rabbit, Cocoa. There are some moments of confusion early on in the story, when the characters at the seniors' residence are introduced, but as the story develops, this confusion is cleared up. This is a charming story on many levels, although the plot develops rather slowly. However, with such interesting subplots, it is a good read. One can't help but love Carly, the sprightly main character.